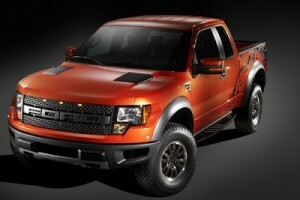 ‘I want a Ford Raptor. I drove in ‘X’s and it is plush.’, said my husband about a month ago. Ayyyy….I thought. That’s about $70k in total cost (taxes, new). However, his truck is 13 years old. He does have a point. I weighed that against the fact that his truck is used only once or twice a week plus road trips, and thus has only about 80k on the odometer. But, instead of saying ‘no way’ right away, I took a deep breath, listened, then said ‘well, you could. And here’s the tradeoff’. I did for him what I’d do for any client: I didn’t tell him what to do, I simply showed him how it affected his (and our) existing financial goals. Still, he was crestfallen. ‘Can’t we still do both?’ he pleaded with me. ‘Well, not unless we got a windfall for that same amount at around the same time’. He was still crestfallen. Yet there it is. When you are considering a significant purchase, you have to consider how, if at all, it affects the goals you already established for your financial future. You also have to consider how much emotion is factoring into your decision. While his friend’s Ford Raptor did trigger this purchase decision, he does have a point. I just hope, and I say this with empathy, that he is able to make this decision with no remorse. I do think it would be fun to have a new truck/vehicle though. So I enouraged him to start going to the dealers to start looking at vehicles (he expanded his purchase options beyond the Ford Raptor). This made him very happy and kept him from feeling he couldn’t purchase what he wanted. As I expected, he got perspective after going to the dealer lots and seeing the options, along with their price tags. ‘Maybe I will buy used.’, he said after our most recent excursion. The decision is totally up to him, even though it would affect our collective financial goals. It’s important he feel he has some flexibility to the Financial Plan, and I am all for that. We do have the ability to purchase this for cash, it just is up to him on whether or not he wants to delay the already existing goals.